Some organizations are comfortable with their operations, happy with the status quo and satisfied with their level of productivity and profit. But if that doesn’t sound like your business, you're not alone. Your company might even land on the other end of the spectrum, constantly looking for new ways to work, increase productivity and innovate. If this is the case, your organization would likely benefit from unified communications (also referred to as unified communications as a service or UCaaS). UCaaS can be a game changer. It can revolutionize your business practices. It can even set your organization up for levels of productivity you haven’t yet imagined. 1. Do you have a growing organization with communication challenges? If you answered "yes" to this question, you're likely adding employees and noticing communication has become more difficult. This often happens when you're nearing 200 employees; we've found that’s often the threshold for a business beginning to face growing pains. After 200 employees, people don’t generally know everyone in the company anymore, so business communications enter a different level. Unified communications can help with these new communication challenges. 2. 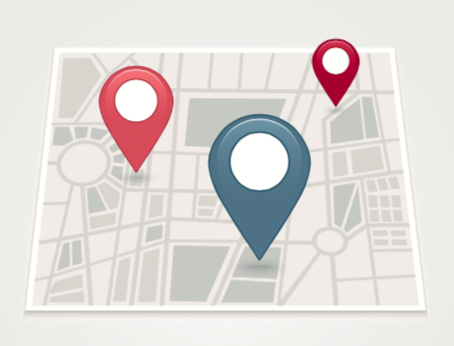 Is your company geographically dispersed or Partially mobile? Unified communications is particularly good at helping employees feel like they are “in” the office even when they are on the road or working remotely. By centralizing the streams of messaging, coworkers get the same experience every time, and it feels like they are at their desk even when they are at home, in a coffee shop or at the airport. Unified communications means unifying any device, anywhere, anytime. 3. Is your organization tech savvy? If you see technology as the key to future productivity, then the tools associated with UCaaS will make total sense for you. Businesses that leverage technology to be more efficient, more effective and more dynamic than competitors thrive with unified communications. On the other hand, if you're more hesitant toward newer technology and the computers on your desks are more than a couple of years old, UCaaS can revolutionize how your business communicates. You'll be surprised how easy and user-friendly it is. 4. Are you already on the Cloud? If your organization has already moved to the cloud, you know the competitive advantages that came along with that change. With UCaaS, we can show you the next level of technology and tools that can improve your business communication. 5. Are you ready to automate and deliver a fantastic customer experience? Businesses with complex telephony needs who want to get their customers to the right place in the shortest possible time frame benefit from unified communications. It is not just a case of building a multi-layered voicemail tree full of robotic voices. Instead, UCaaS helps you build smart, automated systems so customers get a human voice when they need it and automated answers when that's all they require. 6. What is your approach to training? If your organization is ready to use job aids and YouTube videos to get your people up and running on the new communication tools, then UCaaS might be a good fit for you. As technology capabilities increase, we've found that training videos are how employees learn at work - it's quick, it’s the right amount of information and it allows them to learn at their own pace. 7. Is your company comfortable with service agreements? These agreements are usually a subscription service, and companies that want experts to handle complicated software environments enjoy the service they get with UCaaS. Likewise, many organizations prefer a subscription service rather than owning the software, because it includes upgrades and additions. These questions are a good starting point for a discussion about unified communications. If you answered yes to a majority of them, it means you are ready for the next level of communications tools and the next level of productivity.